Ed Hartin, MS, EFO, MIFireE, CFO is the principal and chief instructor with CFBT-US. Ed has 39 years of fire service operations and training experience and serves as the Fire Chief with Central Whidbey Island Fire & Rescue. Ed has delivered fire behavior training and seminar presentations throughout the United States as well as internationally in Australia, Malaysia, Germany, Croatia, England, Sweden, Canada, Chile, & Peru. He is also a regular contributor to fire service publications including Crisis Respons Journal, Fire & Rescue, Firehouse.com, and is a contributing Editor for Fire Rescue magazine. 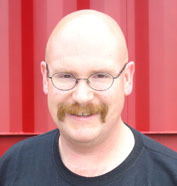 Along with Paul Grimwood, Shan Raffel, and John McDonough, Ed was a co-author of 3D Firefighting: Training, Techniques, and Tactics published by Fire Protection Publications in 2005). Ed also contributed to the development of the fire behavior chapters in the International Fire Service Training Association (IFSTA) Essentials of Firefighting (5th and 6th ed. ), Hazardous Materials for First Responders (3rd and 4th ed.) and Fireground Support Operations (2nd ed). Our greatest strength is our instructors knowledge and experience. 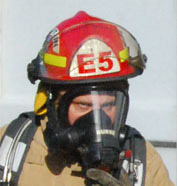 CFBT-US instructors are all experienced firefighters or fire officers with a strong instructional background. Given the criticality of instructor technical and instructional competence, all CFBT-US instructors have completed a minimum of 56-hours of CFBT Instructor training followed by supervised field experience as an instructor trainee. Instructors maintain and refine their knowledge and skills thorugh ongoing practice, study, and professional development. Matt Leech worked in the fire service for 21 years and currently serves as a rescue company Lieutenant with Tualatin Valley Fire & Rescue (TVF&R) and manages the CFBT program serving the department's 300 operational personnel. Matt works with CFBT-US as a Lead Instructor and Instructor Trainer. Chris Baird has 21 years of fire service experience and currently serves as an engine company Lieutenant with Gresham Fire & Emergency Services. For the past several years, Chris served as a Training Officer and was responsible for delivering CFBT to incumbent and firefighters and as part of the departments recruit training program. Chris works with CFBT-US as a Lead Instructor and Instructor Trainer. James Mendoza, MA currently serves as an Captain with the San Jose Fire Department and has 8 years fire service experience. James' attained California Professional Clear Teaching Credientials in Bilogical Sciences, Chemistry and Physical Science and his prior experience as a middle school science teacher brings a unique and extremely useful perspective to CFBT. In 2007 James attended fire behavior instructor training with Radnings Verket in Sweden. James works with CFBT-US as a Lead Instructor. Brian Burke has 25 years of fire service experience and is currently a Station Captain with Clackamas Fire District #1. He spent 2-1/2 years in the Training Division and was responsible for the career recruit academy, career and volunteer company training and all probationary personnel. 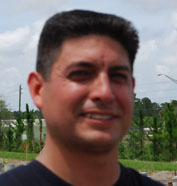 Brian works with CFBT-US as a Lead Instructor and Instructor Trainer. Scott Steiner has 21 years in the fire service and currently works as a Battalion Chief with Tualatin Valley Fire & Rescue. 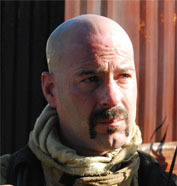 Scott works with CFBT-US as a Lead Instructor and Instructor Trainer. In addition to US based instructors, CFBT-US maintains a collaborative relationship with instructors throughout the international CFBT community. This allows us to assemble effective teaching teams to deliver training on a worldwide basis. Paul Grimwood, FIFireE currently serves as Chief Fire Engineer with the Kent (UK) Fire Service has over 35 years of operational experience with the London Fire Brigade and an extended detachment with the Fire Department of the City of New York. In addition, Paul is a qualified fire investigator and with extensive work in investigation of incidents involving extreme fire behavior phenomena. 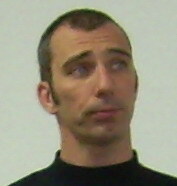 Paul has written and presented extensively on CFBT, tactical ventilation, and firefighter safety.Visit Paul's Websites Firetactics.com and Eurofirefighter.com. Shan Raffel, ASFM MIFireE, EngTech is a Acting Inspector (Chief Officer) with Queensland (Australia) Fire Rescue and has over 25 years of operational experience. Shan was sent to Sweden and the UK in 1997 to study fire behavior and fire fithting training best practices and on his return to Australia, introduced CFBT within his brigade. Subsequently, Shan has been a national leader in CFBT, assisting a number of other brigades in program implementation. Visit Shan's Website!. John McDonough, ASFM is an Inspector (Chief Officer) with the New South Wales (Australia) Fire Brigades. John introduced CFBT to the New South Walse Fire Brigades and developed their comprehensive modular program to serve the needs of their approximately 6000 operational firefighters and fire officers. John currently manages the Firefighting Training Section which is responsible for firefighting best practics research and CFBT.